Frostpunk - Discover ‘Automatons’ - Giant robotic feats of human ingenuity - new screenshots, concept artwork, and more! 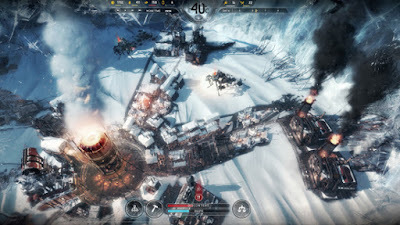 Frostpunk is a city-survival game in which heat means life, and every decision comes with a cost. Living among the frozen remnants of Earth, it is up to you to shape society, establishing the laws and customs to ensure survival. MAINTAIN HOPE - Survival is about hope and the will to live. Your ability to spark and maintain these two in your citizens will be a determinant factor for success. MAKE AND ENACT LAW - The only method of continued survival is to ensure survivors abide by the same rules and share similar beliefs. Establishing laws and customs will be a crucial factor shaping your society. WEIGH YOUR CHOICES - Will you allow child-labour? How will you treat the sick and wounded? Choices in Frostpunk are never straightforward, and decisions come at a price. EXPLORE - The world covers not only bits of the past but also the potential means to secure the future of your people. With the future of humankind in your hands, Frostpunk is both a challenge of tactical planning and a test of your own humanity. 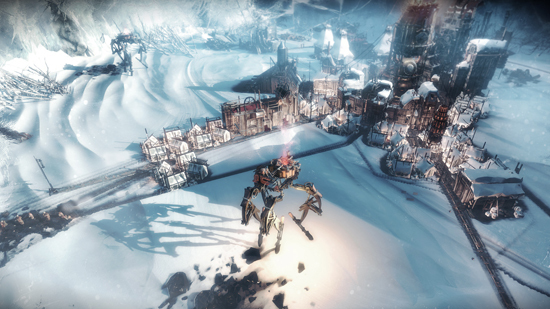 Frostpunk will be available on Steam, Humble Store, GOG, and other digital stores for Windows and Mac.